Restaurant-turned-tech company Eatsa has unveiled a new innovative option for meal-pickup stations. The Spotlight Pickup System is slightly less complicated than the company’s revolutionary Cubby Pickup System. Instead of food stored behind a door in a cubby, Spotlight is a modular open-shelf system. It uses the same technology as the Cubby system. Each shelf contains “spots” equipped with sensors that provide customized digital messaging. Each spot can send and receive information through Eatsa’s cloud services. It allows the restaurant to assign a customer’s name and provide a status update on each order. The first restaurants adopting the new pick-up system include Mac’d in San Francisco; Evergreens in Seattle; and Wow Bao in Chicago. Evergreens and Wow Bao plan to deploy the shelf system by February. Mac’d, a three-unit fast-casual, build-your-own macaroni and cheese concept, has been using the Spotlight system at one of its two San Francisco restaurants. Tom Small, chief operating officer of Seattle-based Evergreens, said Spotlight will help the restaurant meet the demands of “a big increase in the number of pickup orders” at its restaurants. He said he likes the idea of the system giving customers a status update without having to interact with cashiers. “We think our customers are going to love this new innovative pickup experience,” he said in a statement. Eatsa also operates two namesake restaurants in San Francisco. Seven BJ’s Restaurant & Brewhouse locations in Los Angeles and Austin, Texas are testing a new ordering system that allows diners to order and pay ahead for dine-in visits. 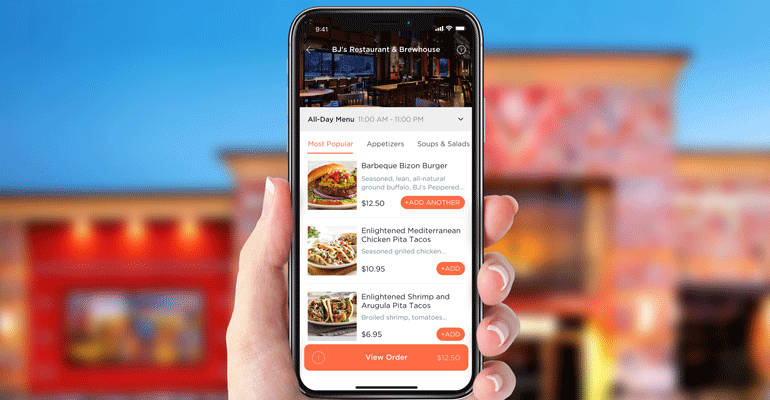 The Huntington Beach, Calif.-based chain said it is using Allset, an app that provides order- and pay-ahead technology for casual and limited-service concepts. Order and pay ahead is not new, especially among fast-casual chains. But most chains adopt mobile ordering for dining off premise. At BJ’s, the company is using Allset for diners who want to dine in. Through the app, customers can make a restaurant reservation, pre-order and pay for the bill before entering the restaurant. 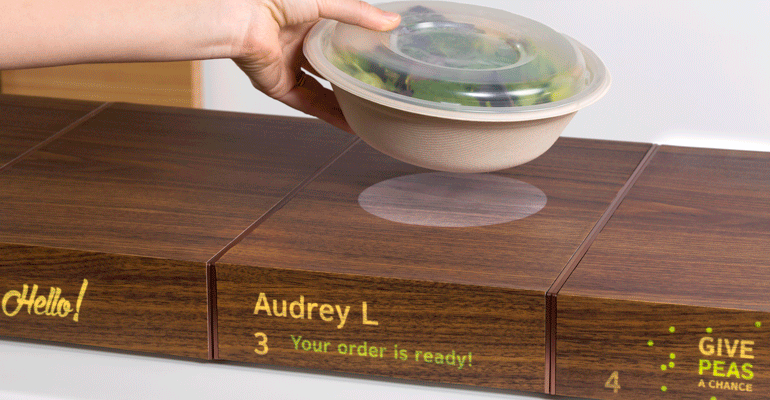 The system ensures a “faster dine-in service,” according to the San Francisco-based company. Greg Trojan, CEO of BJ’s Restaurants Inc., said the company is looking to see if the program will increase dine-in traffic. “While most other services focus on delivery and takeout, Allset promotes our restaurants’ dine-in experience to Millennials and people in a hurry,” Trojan said in a statement. Allset, founded in 2015, works with 1,500 restaurants in Northern California, New York, Chicago, Boston, Austin, Seattle, Los Angeles, San Jose, Houston, and Las Vegas. In the app, diners can also invite friends to join them at a table and order and pay separately for their food. Other restaurant chains using Allset’s pre-ordering service include Buffalo Wild Wings (three New York City locations), Pokéworks (six locations in Chicago, California and Boston), a Freshii store in Chicago, The Bean (six New York locations), Noon Mediterranean (eight locations in Austin, Texas, Boston and Houston) and three By Chloe restaurants in Los Angeles and Boston. The company also partners with dozens of independent restaurants in various markets. In Southern California, for example, local venues listed on the app include popular barbecue joint Johnny Rebs’ in Orange, Pacific Dining Car steak house in Los Angeles and Tagine in Beverly Hills. 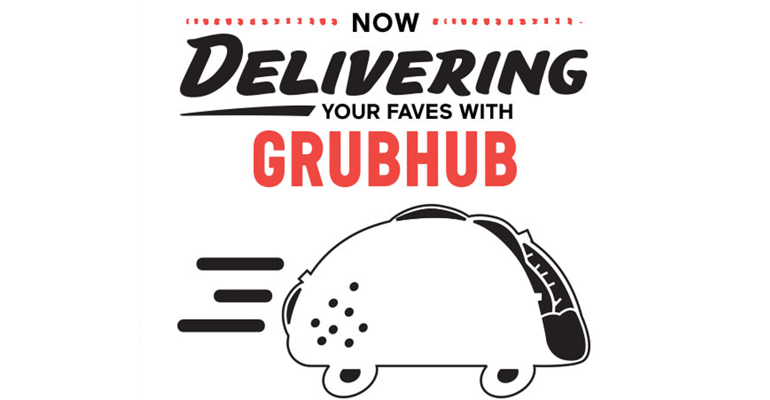 Lake Forest, Calif.-based Del Taco has expanded its rollout of delivery through Grubhub. In the fourth quarter, the chain launched delivery in parts of Los Angeles. That program has now expanded to all participating restaurants in the Los Angeles region, the company said this month. Los Angeles residents can order Del Taco for delivery through the brand’s website, app or through Grubhub. POS integration has become an important factor for chains whose customers expect speed and accuracy. Take Jersey Mike’s Subs. The company recently went live with a POS-integrated system at more than 1,300 restaurants through Uber Eats. Other integrations are coming with DoorDash, Grubhub and Postmates, Jersey Mike’s said. The company said POS integration ensures accurate sales and inventory reporting. It also improves menu consistency on a national level. “If Jersey Mike’s introduces a limited-time-only offer, this can be added to the POS and it will automatically show up on Uber Eats’ menus nationwide,” the company said.